BLED – RYCO Secretary General Mr Đuro Blanuša participated in this year’s edition of the Bled Strategic Form in Slovenia. In a panel discussion that was held on 11 September, together with the panelists, he discussed the topic “Putting European Consensus on Development into Practice: Political Foundations as Bridge Builders for the Implementation of SDGs”. The panel discussed how political foundations can stimulate pro-development views among the wider public as well as from decision-makers. Moreover, it converged on how to better involve local authorities in the development discourse and engage them in mainstreaming development awareness. The universality of the SDGs, the panel underlined, requires promoting the 2030 Agenda to new audiences; in particular in areas where development policy, in its traditional understanding, receives limited attention. Mr Blanuša presented the work of RYCO and pointed out that it is a good example of cross-sectoral cooperation in a number of phases of the organization’s development. Participation of the Western Balkan civil society, the support of political foundations such as Konrad Adenauer Foundation and Friedrich Ebert Foundation and other actors had an immense contribution to the processes of the establishment of RYCO and still have an important role now when the organization’s activities are being implemented, he said. Speaking about the SDGs, Mr Blanuša pointed out that there is a lack of the culture of strategic planning and thinking in the region on local, national and regional levels. He invited the Western Balkan leaders to join their forces and start thinking about the creation of joint comprehensive strategy of the sustainable development of the Western Balkans. 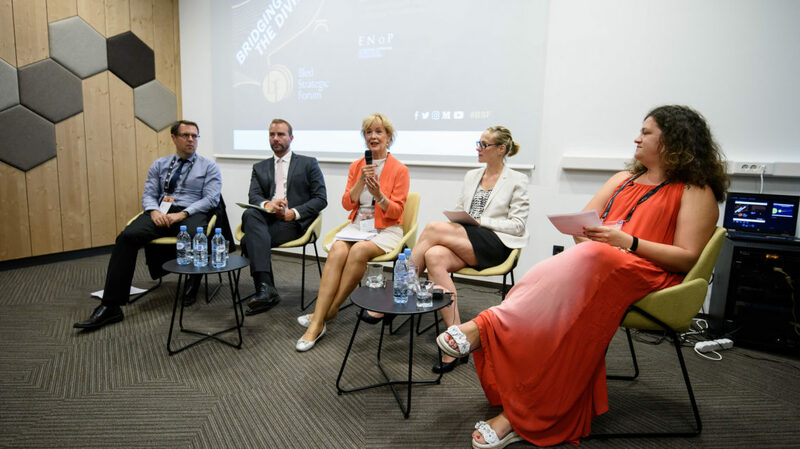 The panel discussion was organized within the Forum and in partnership with ENOP – European Network of Political Foundations.